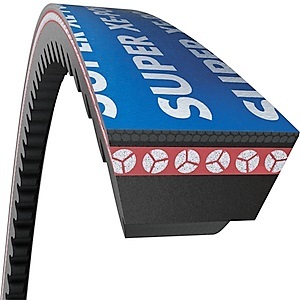 SUPER X-POWER XPB is the high performance solution for cogged belt application. It is constructed using Optibelt's superior transverse fiber core compound, low streach polyester cord, and cord stabilixing cushion compound. Available in single or banded sizes.